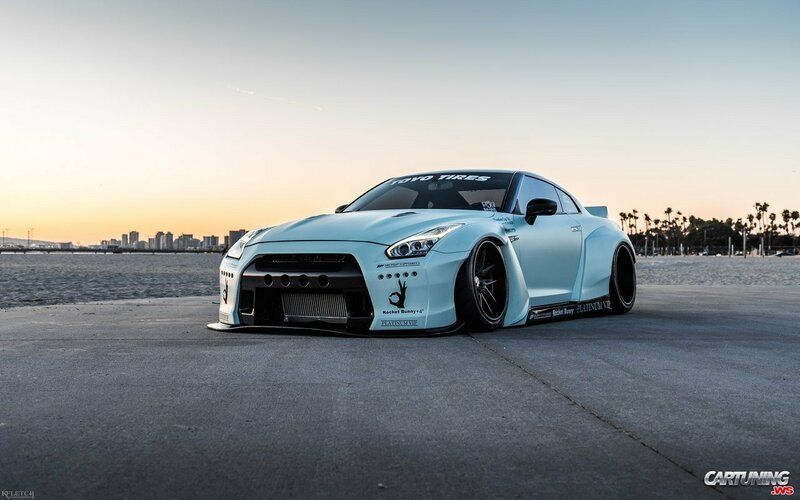 Lowered white GT-R from United States in wide body kit. Most part of GT-Rs in wide body are wrapped or with many stickers. But this is almost simply white and i like it.